Helping your child CLEAN THEIR ROOM! 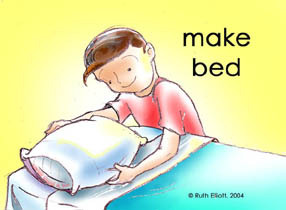 Thanks to Mindi for suggesting I add a picture of “clean your room”, to GoMommyGO’s free illustrated behavior charts. 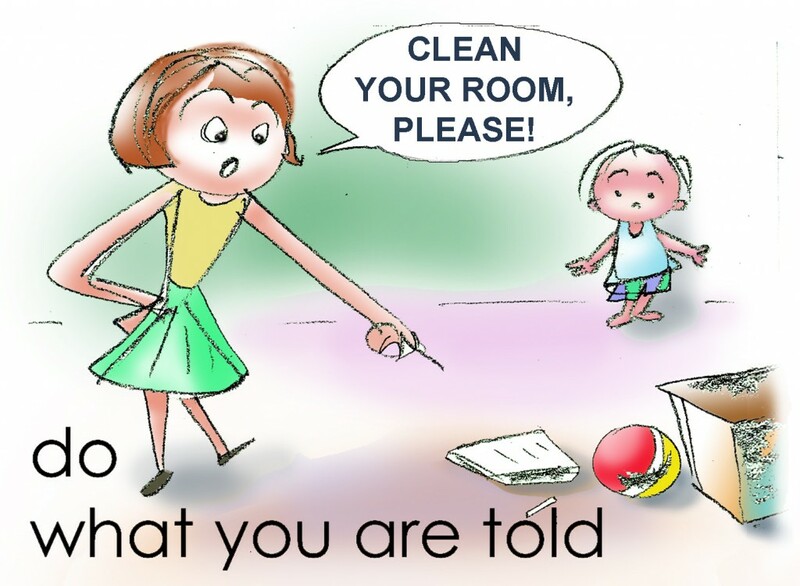 The simple command, “Clean Your Room” might be enough for some kids, but not for mine)! Many get overwhelmed by the sheer enormity of the task and need it broken up into smaller pieces, so they get a chance to learn a method of tackling the job and also feel a sense of accomplishment from each part. This can become part of their regular routine each day. These are just a few of the 90 images available. With my 7 kid’s, their room could quickly become a giant pile of rubble. I thought of the CTT method here, to help them clean the room in 15 minutes. C– First pick up all CLOTHES you find – quickly – in less than 5 minutes! T– Then pick up all TOYS (and put in toybox) – in less than 5 minutes! T– Then pick up all the TRASH left – in less than 5 minutes! (#1) YOU START the game, and show them how to toss the first couple of clothes into a pile as fast as possible! Once you’ve shown them, then let THEM do it. Do the same with the Toys (#2) and Trash(#3). This is a quick way to get the bulk of the work done and conquer the hardest part. The details will be easier after that! I heard another GREAT idea invented by a lady whose son was autistic. She helped him organize his room till it was just the way she liked it, then took a snapshot of the whole thing. She printed up the photo, had it framed, and put it on the dresser. It was used as a model to follow how his room should look the next time he had to clean it! Her son actually got so detailed in following the photo, that when his little action figure of a scuba diver was shown in the picture with one flipper on and one off, he always made sure he took one off, to match the photo! I think this is brilliant, and one I wish I had thought of!